The demand function is what the consumer prefers regarding goods and services. Every person has an individual demand for the goods and services available in the market. 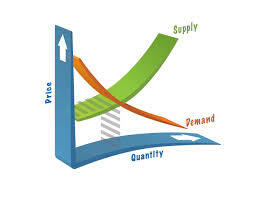 The level of demand depends on the value a specific consumer places on the product and its product. If the purchase and consumption of the product satisfy the consumer, the business has successfully met the demand. Demand function is a mathematical function showing relationship between the quantity demanded of a commodity and the factors influencing demand. U = Specific factors affecting demand for a commodity such as seasonal changes, taxation policy, availability of credit facilities, etc.